To encourage membership in and support of both WASBA and local beekeeper associations. 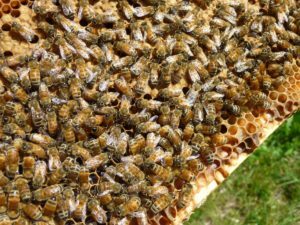 WASBA charges a small fee for certification that goes toward the costs of administering the program as well as funding activities that promote the overall interests of beekeepers in Washington. WASBA has an agreement with the Washington State Department of Corrections (DOC) and the Oregon State Department of Corrections that the certification fee for incarcerated individuals is set at $5 per level. The above fees are in addition to any fees charged for instruction by local associations or instructors. Candidates for Journeyman and Master level programs are also required to be members of WASBA.